Money at Vietnam Women’s Memorial? 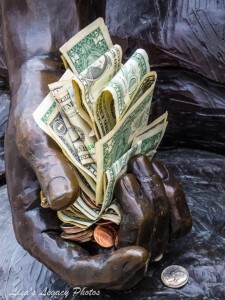 On a recent tour past the Vietnam Women’s (Nurses) Memorial, I noticed the dying man’s hand filled with money. I’ve passed this memorial near the Vietnam Wall many times and never seen money much less overflowing from the hand. Frankly, it’s a little insulting despite undoubtedly well intentioned. But, write a check to the National Park Service if you want to help. 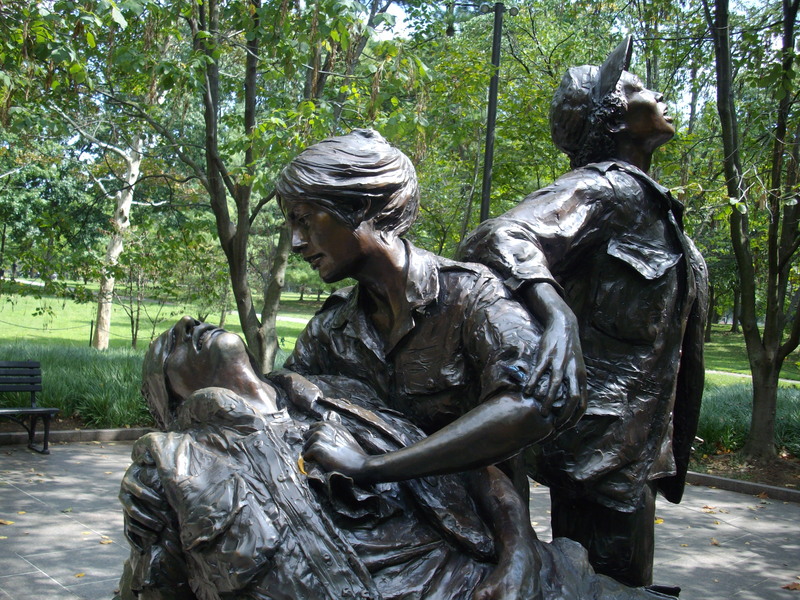 This entry was posted in Memorials and tagged money, nurses, Photos by Rick and Lisa Snider, Vietnam Women's Memorial. Bookmark the permalink.